THERE WILL BE NO CLASSES ON SAT, 19 SEPT 2009!!! The parish will be having a large-scale event, which means that we can’t use any of the rooms. First and foremost, I’d like to apologise for a not-so-good session. I guess I’ve learnt my lesson not to prepare notes and slides on the night and day before the session. 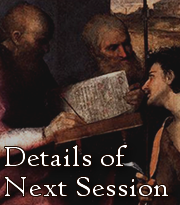 So… what will we be doing in Session 5? We’ll try our best to cover ALL prepositions in Latin. Maybe we’ll learn a hymn or two. Then perhaps, we’ll drive to cover indirect objects as well. Of course, our good friend Minimus will be back again! 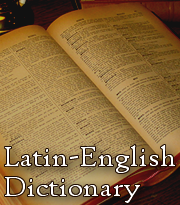 Some feedback was made concerning vocabulary – that we should learn more vocab – so that we can learn Latin faster. That’s true! But after putting in much thought, I realised that it’s not the right time yet to flood you all with too much vocab – the basic grammar is still not fully established yet. But, fret not! God willing, we should be ready for lots of vocab by either Session 6 or 7. We would have covered the necessary foundational grammar stuff to be flooded with lots of vocab words by then. All that said, may you have a fruitful weekend, and I’ll see you soon!